Navy commandos board ship in early morning operation; vessel carried advanced missiles with 200km range; PM: ‘This is the real Iran’; Israel won’t file complaint at UN because of labor dispute. IDF special forces on Wednesday intercepted a ship in the Red Sea carrying an Iranian arms shipment headed for the Gaza Strip, Israel’s military said. Israeli naval commandos from the elite Shayetet 13 unit boarded and took control of the “Klos-C” merchant ship, sailing under the Panama flag, at around 5 a.m. They encountered no resistance and there were no casualties reported on either side. The army said soldiers carried out a preliminary inspection of the ship and found several dozen advanced Syrian M-302 missiles, with a range of up to 200 kilometers (125 miles) and a payload of up to 170 kilograms (375 pounds). The missiles were hidden in shipping containers also carrying sacks of concrete. 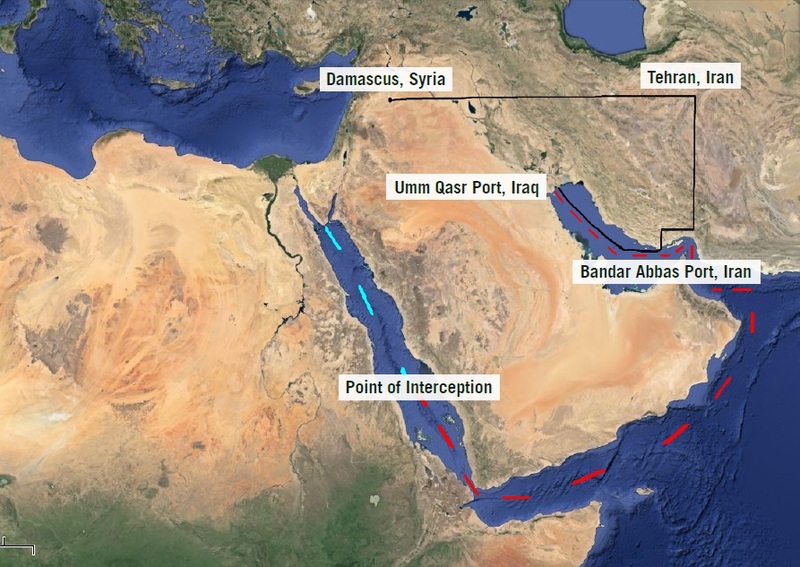 The incident took place 1,500 kilometers (930 miles) from Israel’s coast, in the Red Sea, off the Sudanese-Eritrean border. 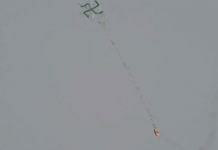 Israel had been tailing the ship for several days before the operation was launched. The ship had a crew of 17, who were being interrogated by Israeli security forces. Defense Minister Moshe Ya’alon said crew members were apparently unaware of the ship’s secret cargo. The vessel had reportedly set sail from Iran 10 days ago and was set to reach Sudan on Thursday. From there, the weaponry would have been smuggled into Gaza. IDF Chief of Staff Lt. Gen. Benny Gantz personally oversaw the operation and Prime Minister Benjamin Netanyahu was briefed on its progress as he toured the US, the IDF said. Netanyahu commended Gantz and Mossad Chief Tamir Pardo for their efficient work. “I would like to congratulate the IDF, Israel’s intelligence apparatuses and of course the commanders and soldiers of the navy who carried out a flawless operation to capture a covert Iranian weapons ship,” Netanyahu said in a video statement. “As it conducts talks with [world] powers, as Iran smiles and utters pleasantries, the same Iran is sending lethal weapons to terror organizations…via an intricate network of clandestine global operations…in order to hurt innocent civilians,” he added. 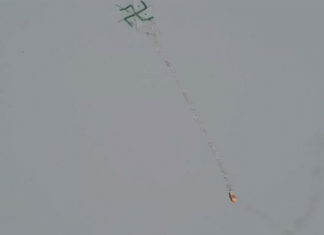 Hamas said the interception was a “silly joke,” Reuters reported. 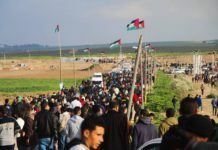 “This is a new Israeli lie aimed to justify and prolong the blockade of Gaza,” Taher Al-Nono, an adviser of Hamas Prime Minister Ismail Haniyeh, told the news agency. 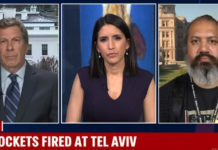 “This Iranian attempt to transfer weapons to the Gaza Strip is additional evidence that Gaza is a terrorist entity under Iranian auspices preparing to strike deep into Israel,” he added. Because of a labor dispute in the Foreign Ministry, Israel will not file an official complaint to the United Nations Security Council over the Iranian weapons shipment, a representative for the workers’ union said. The Foreign Ministry’s Workers Union, which on Tuesday initiated far-reaching work sanctions, instructed Israeli ambassador to the UN Ron Prosor not to file an official complaint, as had originally been planned. 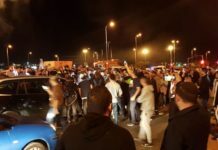 The military said the interception operation originated several months ago, when IDF intelligence identified the transfer of Syrian M-302 rockets from Damascus to Tehran through Damascus International Airport. Intelligence officials found the move odd, as arms are usually transferred from Iran to Syria, not vice versa. The shipment was then moved to Iran’s Bandar Abbas port and loaded onto the “Klos-C.” The ship initially sailed to the Iraqi port of Umm Qasr where it was loaded with containers carrying bags of cement, to help conceal the weaponry and blur its Iranian origin. The ship then set sail to Port Sudan. From there the weapons would have been smuggled into the Gaza Strip through the Sinai Peninsula. Vice Admiral Eliezer “Cheney” Marom, former commander of the Israeli Navy, told a group of reporters that the captain of the Panamian ship carried “a fake cargo manifest,” claiming that all cargo had been loaded on board in Iraq. 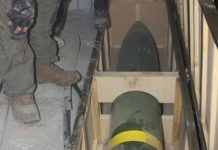 The military noted Wednesday that while the “Klos-C” was not the first Iranian arms shipment captured by Israel over the past few years, it stood out due to “the lethality and quality of its cargo.” While previous shipments had carried mortars, mid-range rockets and light-weapons ammunition, the latest captured cargo carried missiles with a much larger range and warheads of a much heavier payload. Syrian M-302 missiles were used by Hezbollah during the Second Lebanon War to hit the Israeli cities of Haifa and Afula, the army said. 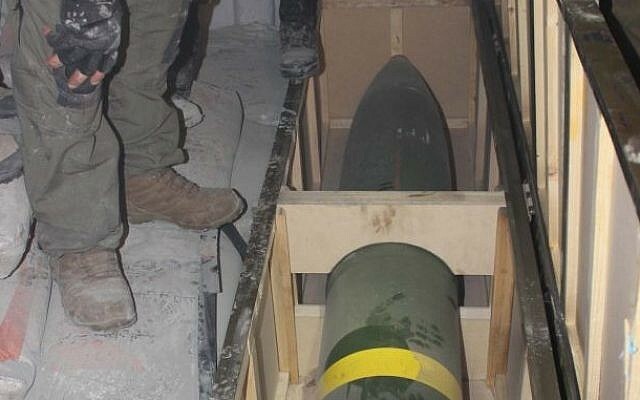 The military noted that Iran has made many attempts in the past to smuggle weaponry to Gaza. In 2002 the military captured the “Karine-A” as it carried 50 tons of weaponry from Iran to Gaza. Noam Bedein is a director of the Sderot Media Center. It is a media advocacy center which portrays the human face of Sderot and southern Israel under siege, to the international media and public. Noam, a native of Tzfat, grew up in Efrat, Israel. After finishing the Beit El Yeshiva High School, Noam learned at a pre-Army training program in the Jordan Valley and then served for three years as an IDF sergeant for an artillery scout unit along the Lebanese border. After the army, Noam served as an emissary for The Jewish Agency in Boston, Massachusetts and then traveled for a year in the Far East. 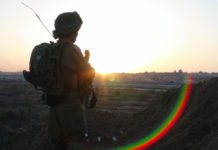 Upon his return to Israel, Noam relocated to Sderot and pioneered the “Sderot Media Center for the Western Negev Ltd", which has spawned the Sderot Media Center. In this position, Noam is a photojournalist, lecturer and gives briefings to foreign government officials, embassies, foreign press and student groups from around the world.